The two characters above are “Rei–ki" written in Japanese. “Rei” in Japanese means ‘Spirit’. And “ki” means ‘Life force energy’. Together they can be read as “Spirit led life force energy”. Reiki is not magic, black or otherwise, it is not connected to any religious rites or any religion, it is not a cult or anything to do with ‘Faith healing’. Reiki is a Japanese term that when translated means ‘Universal life force’, what is termed ‘Prana’ in Sanskrit, ‘Chi’ in Chinese and is known as ‘Cosmic energy’ to many. It is the name adopted for a system of healing that was (re) discovered by Dr. Mikao Usui in the latter part of the ninetieth century. Reiki involves the transfer of energy from the ‘Reiki channel’ (or the person giving Reiki) to the receiver, it is a method of holistic healing, and the underlying principle of their effectiveness are similar. However, in Reiki, no pressure is required, and the recipient’s vital force is activated by the energy received from the Reiki channel. Reiki can be learnt and practiced by anyone, even a child. It is a very simple hands–on technique. 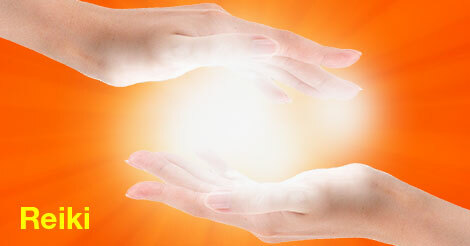 To be a Reiki channel or a person who can practice Reiki, a person needs to acquire attunement from a Reiki master. This opens the chakras enabling the person to act as an effective conduit for the transfer of the Universal life force energy. Reiki cannot be learned from a book or by instruction. It is one of the ancient mysteries of the world and the activation of Reiki in your hands occurs only through an ‘Attunement’ or ‘Initiation’ which is given by a Reiki master.